On Friday 12th February 2016, Federation House was filled to capacity for the Arts Festival Coffee Morning when members had the opportunity, not only to enjoy the delicious food available, but to view the wonderful array of paintings, collage, calligraphy and good handwriting entries submitted for this year’s Arts Festival Competitions. Arts Sub-Committee Chairman Carole Baird welcomed everyone and introduced Federation Chairman Elizabeth Warden. Carole congratulated all the entrants on the very high standard of work submitted and on the wonderful display of autumnal pieces of art which were all produced by talented WI ladies. Carole concluded by thanking everyone who had contributed to the success of the day. The winners in each of the categories were presented with their trophies by Elizabeth Warden, following which the draw for the many raffle prizes took place. 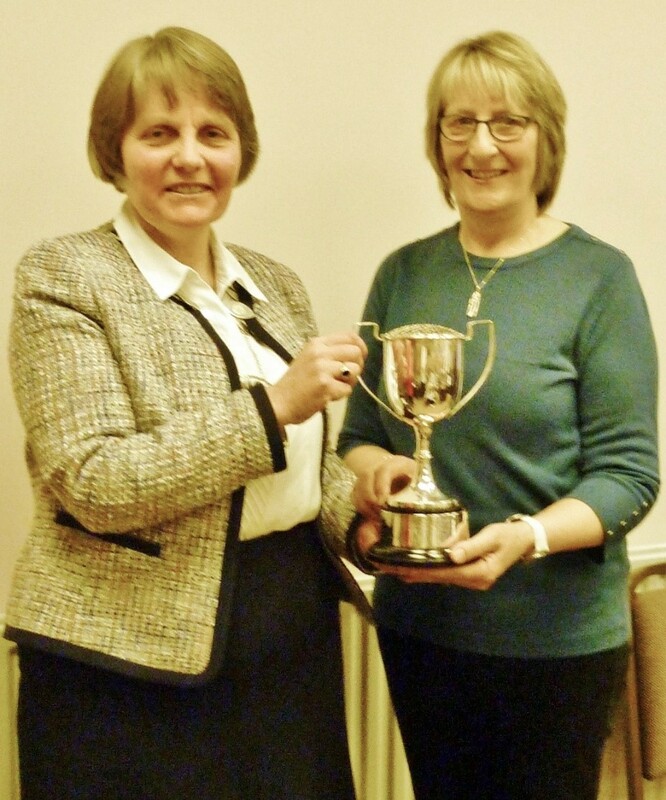 Federation Chairman Elizabeth Warden presenting the talented Janne Patton of Armoy WI with the prestigious Jean Hughes Trophy for the best overall painting.